The Mid Missouri Tigers strive to teach core fundamentals of ice hockey along with good sportsmanship and citizenship. Teams consist of boys and girls from the ages of 4-18. Teams consist of players of all abilities. 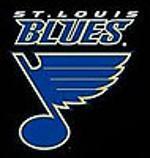 Our teams play in the Greater Recreational Hockey League and also the Missouri Hockey Travel League. We have teams at the Mini Mite Level (ages 4-5), Mite Level (ages 6-8), Squirt Level (ages 9-10), Peewee Level (ages 11-12), and the Bantam Level (ages 13-14). Once players have exhausted their playing eligibility at the youth level, they are then able to play for the Midget Level (ages 15-18) program which is currently playing in a Midget/ High School League in Kansas City, Missouri. The Mite, Squirt, Peewee and Bantam teams compete against teams from the Metro St. Louis area. The Midget Team competes against teams in the MAHSHL-Mid America High School Hockey League with teams from the metro Kansas City area, as well as NW Arkansas, Springfield MO, St Joe MO, and Wichita KS. MO Hockey has a nationwide agreement with Drury Hotels to provide rooms at a special rate. Each team will receive $5 per room booked. Contact (800) 436-1172 for reservations and request the MO Hockey rate. ©2019 Mid Missouri Tigers / SportsEngine. All Rights Reserved.